According to the new rules, explained in a Facebook Newsroom post, users searching for, or posting, content relating to hateful or racist rhetoric will be redirected to Life After Hate, a not-for-profit organization that helps individuals wean themselves away from violent far-right groups. Facebook has admitted that it considered white nationalism to be an acceptable point of view. According to internal training documents obtained by Vice News’ Motherboard last year, phrases like “I am proud to be a white nationalist” was permissible on the social media platform, but calling oneself “a white supremacist” was banned. The documents, citing Wikipedia as sources, claimed white nationalism “doesn’t seem to be always associated with racism (at least not explicitly)” and that white nationalists “carefully avoid the term supremacy because it has negative connotations”. 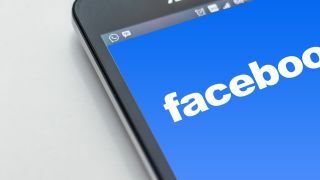 After facing backlash from academic experts for its content moderation policies, Facebook spent three months discussing the issue with anti-hate groups to conclude that white nationalism “cannot be meaningfully separated from white supremacy and organized hate groups”. “Going forward, while people will still be able to demonstrate pride in their ethnic heritage, we will not tolerate praise or support for white nationalism and separatism,” Facebook announced. This move has been praised by racial justice advocacy groups even though it was “long overdue”. The policy applies to both Facebook and Instagram and will go into effect next week.